There has been a lot of talk about independent games recently, but nobody seems to agree on what 'indie' really means. Since we consider our game Overgrowth to be indie, I thought we should nail down a definition for the word! Technically, it means that the game is not funded by a publisher, which is true in our case, but that definition doesn't really capture what 'indie' means to me. The most common definition is via examples: games like Cave Story, Knytt and Spelunky are indie, while Halo, Final Fantasy, and Grand Theft Auto are not. With this method, to determine if a new game is indie or not, you compare it to these two sets and see which one is most similar. However, this method can lead to false conclusions. Are all 2D pixel-art games indie? Are all first-person shooters, racing games and role-playing games not indie? Surely we can come up with a better definition than that. "Independently Created: The Nominating Committee must be confident that the submitted game was created in the 'indie spirit' by an independent game developer, fulfilling the question asked on the entry form. The Nominating Committee reserves the right to refuse any game at its sole discretion." This definition is rather vague, evoking the famous quotation from the Supreme Court on obscenity, "I shall not today attempt further to define [obscene material]. . . [b]ut I know it when I see it . . ." This definition is clearly not sufficient, as we can see by the trouble in the most recent IGF, in which the 'indieness' of several entries was called into question. For example, PixelJunk Eden had a large team and budget, as well as ties to Sony, and Zeno Clash used an expensive third-party game engine (Valve's Source engine). To avoid this kind of problem, we need a more specific definition. On XBox 360, there were two sections for downloadable games: the Live Arcade and the Community Games. 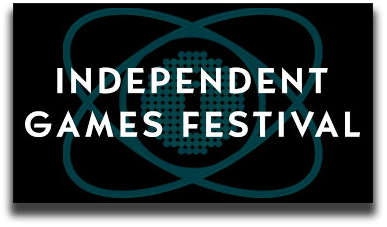 The Live Arcade section contains some of the best indie games, including Castle Crashers, Braid, and Geometry Wars, while the Community Games section contained games that Microsoft did not consider good enough to sell on the Live Arcade service. 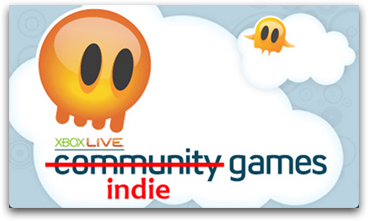 Now Microsoft has changed the name of the "Community Games" section to "Indie Games", spawning controversy among indie game developers. The backlash comes from developers who feel that this new name implies that all indie games are bad -- that if there's an 'indie games' section, it should include the good ones from the Live Arcade as well. On the other hand, the developers who created the 'community games' are happy with the change, because they can capitalize on the positive press that good indie games are getting, and they don't have to keep explaining what 'community games' are. However, without a concrete definition of what 'indie' means, there is no way to neatly resolve this problem. G4TV has a one-minute segment that it occasionally plays called "indie games", focusing entirely on short, free browser games. This has also met with mixed reactions from indie game developers. On the one hand, indie games get some airtime on tv, which is good for getting the word out about us. On the other hand, it is presented in a trivializing and insulting way -- apparently deep and engaging indie games don't exist, and the catchphrase "well, what do you want for nothing?" implies that all indie games are free, and may or may not be better than nothing. This does not at all capture what we mean when by 'indie'. Money is always a factor, but for indie developers it's an incidental logistical concern (i.e. the project can't continue if we starve to death), not the primary goal. The developers in charge of the project's direction are also the ones doing the grunt work, such as programming and creating artwork. I think that this definition clearly summarizes my view on what separates indie and non-indie games. What makes indie games different from mainstream games from your perspective? Can you think of a better definition?